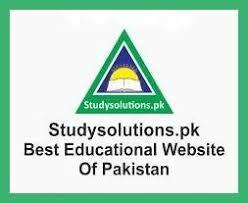 We have launched this website to help students and teachers of Pakistan.We are a team of devoted educationists, professors, engineers, doctors, lawyers, bankers, journalists and webmasters. In developed countries many websites exist to provide knowledge, information and solutions for study, education and career related problems of students. But here in Pakistan, we have only a few educational websites, so there was a need for a comprehensive educational and knowledge based website to promote knowledge and education. To fill this gap, we have taken initiative of launching this pro education site. 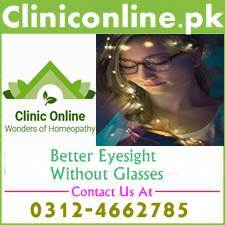 We will provide you standard study material and first hand latest information about different online courses, admission in Pakistani colleges and universities, competitive exams, extra curricular activities, technology updates, scholarships, educational events, study abroad, date sheets, results, merit lists, universities and colleges reviews, foreign tests preparation, education news, career and jobs in Pakistan with proper guideline. We will try our level best to provide every possible solution for your study, education and career related problems. We shall also guide you in your legal and health related issues. Our mission from this platform is to provide you professional guidance and support regarding your career. Its not only our mission but also our passion. We shall also publish free premium notes for students of all levels. We hope that school teachers and professors of colleges will also help us in this regard. We shall also publish articles about different legitimate methods of on line earning to enable you to stand on your feet. By the grace of Almighty Allah you will feel a clear difference in our content and that of others. We welcome any guidance, suggestions, positive criticism, comments, remarks and articles from students, teachers, professors and those interested to help Pakistani students. All we need is your crystal clear expectations. We beseech again your kind cooperation and thank you in anticipation.